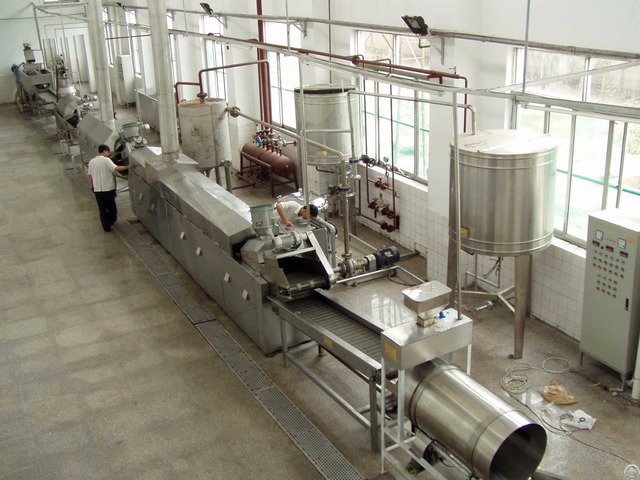 This line is of high automation, large capacity, low energy consumption, labor saving, small area occupation, easy operation, good quality and high profit. 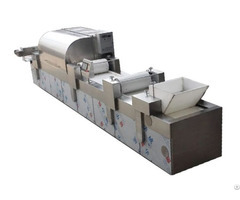 The line mainly include the process of potato washing peeling, cutting, washing, blanching, dewatering, frying, deoiling, flavoring and packaging. 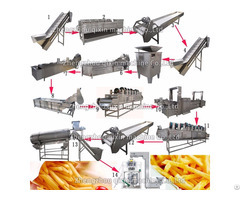 We will provide formula and technology guidence free of charge to make sure you can make high quality and delicious potato chips. 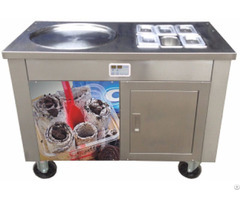 With small changes and add freezer to the line, you can make frozen french fries.